Trinity Rose Designs: LDRS Creative Halloween Party Blog Hop!! 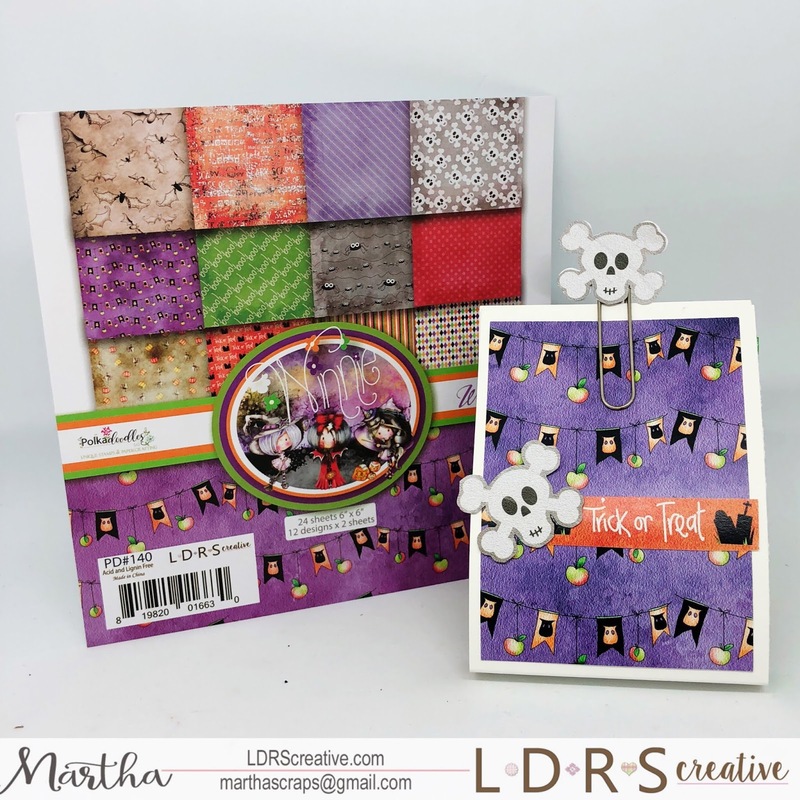 LDRS Creative Halloween Party Blog Hop!! 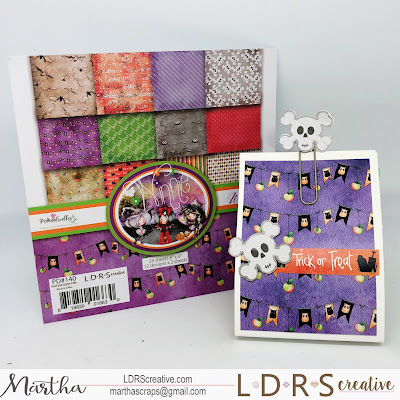 Welcome to the first edition of the HALLOWEEN PARTY BLOG HOP by LDRS Creative! The design team has prepared some WICKED inspiration using the latest seasonal products in store, including them in super-duper fun tutorials at each stop. We are so EXCITED to celebrate this special day with you all, that we have decided to offer a 31% DISCOUNT on all Halloween and Fall products in store (*excluding bundles, using code Wicked31, valid until October 31st, MIDNIGHT EST). And because there is no party without PRIZES....Who would like to win surprise grab bag of LDRS Creative products worth at least $30? We will draw 3 winners throughout the day (Oct. 31st, EST) on our Facebook group, so make sure to join it HERE. Only Using the Wicked Paper Pad! Here are some photos than I have a VIDIO TUTORIAL for you! Make sure to hop around, leave a comment at each stop, and answer the mysterious questions (haha!) on the first stop. And remember to use that discount code before it turns into a pumpkin at MIDNIGHT! What a great idea, and so simple. The kids will love it, and the treat that comes with it. 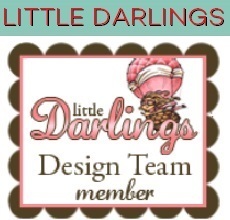 Way to stinkin' cute and so fast and easy!!!! Martha, this is such a great idea for a cute and simple but special treat holder! Your video tutorial was really easy to follow. Thank you so much for sharing this! I love your treat holder. Too cute! Now thats a neat cute way to give treats. Very cute treat holder!! Thanks for the tutorial! 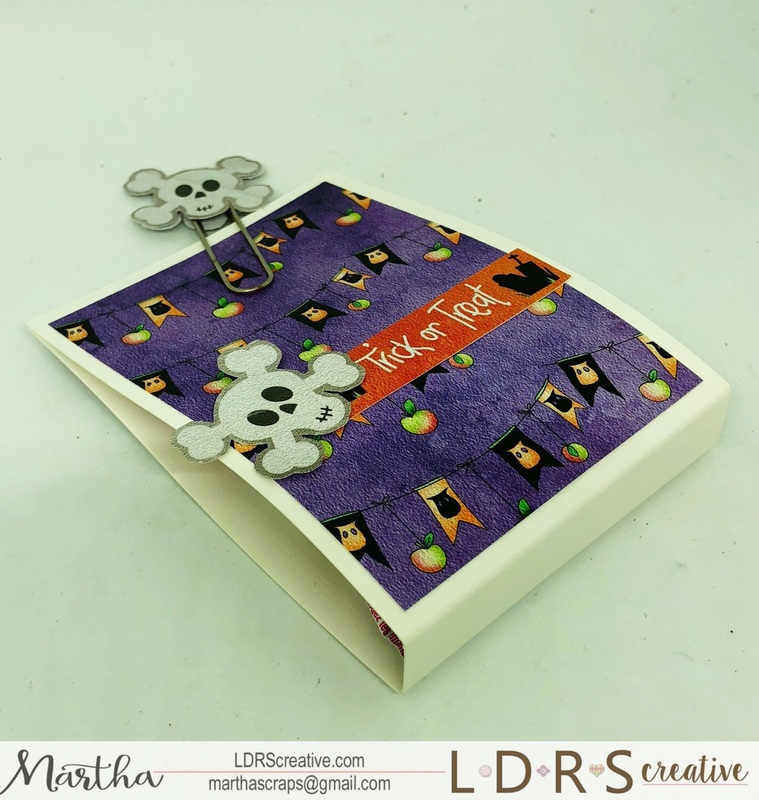 I love all the fun paper designs in the Wicked paper pad! This is an adorable treat holder! Fun project! What a clever idea! Love seeing what everyone has created. That is a great project for high quantities! Your little one is going to be a hit at school with this little gift! The paper clip is perfect for this! Thank you for your tutorial! Such a cute idea for treats! Love your idea for the paper clips! Happy Halloween! Oh what a fun and adorable treat package! 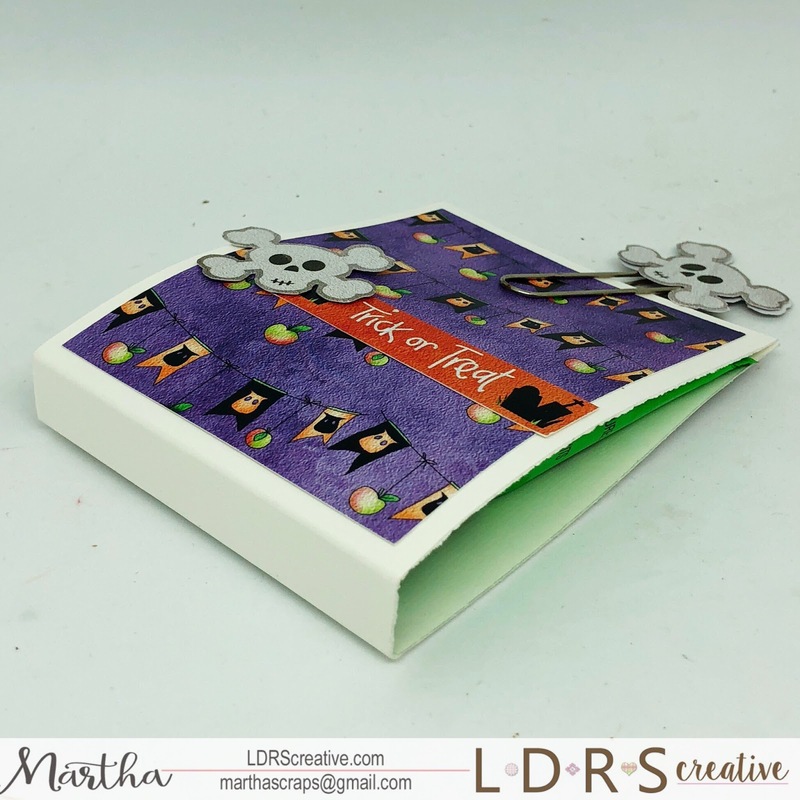 The decorated paper clip makes the perfect closure AND it's cute. Martha, this is so sweet. I always loved making cute treat bags and boxes for my Trick or Treater's but now that the kids in our neighbourhood are grown and moved away, we don't have ANY. Not one child again this year.